As I look back in on the Rebel’s year the one trend I’m searching for is progression. Did they squad get better? Was there a mark improvement in the way they played and the results they achieved. When looking in isolation at the Diamond Series, and this is a series I use as a gauge, I can safely say, there was progression in the right direction. To develop a club, sometimes you have to make hard choices about teams. 2015 was the year we put a lot more into the Royals at the Diamond Series and entered a development team in the Diamond Series. The difference in the way the squads were selected made it no surprise the two never met through the summer, but at the same time the squads were never divided so one team would fail, the Rebels squad had a lot of very talented players, it was whether they could gel together. Diamond 1 back in May was the first real test and after the first Saturday, there were some doubts about if this was going to work as they finished bottom of their group. 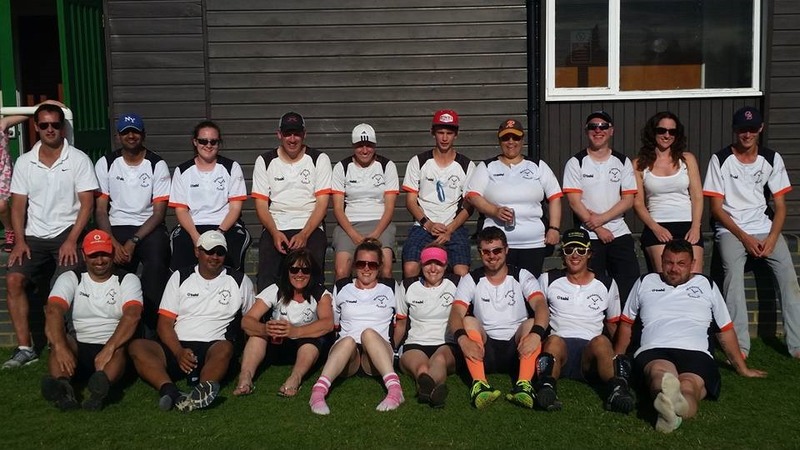 Granted the team was drawn into a group with Raiders Rewind and Retro, United Nations and Oxford Oddsoxs, but they did pull off a fantastic victory over the United Nations to give them something to cheer about. The Rebels Spoon challenge unfortunately didn’t materialize on the Sunday and ended in the first game, and with two more defeats, they unfortunately came bottom of the pile. Diamond 2 was no kinder on the draw for the Rebels, United Nations were again in their group, plus London Flames who were one of the favorites for the series and the Mob who were runners-up in D1. As with D1, the Rebels again came bottom having won just one game again. Sunday started the same way, with an opening game defeat, but they day was not a complete blow out and the Rebels won a second game to at least place. Small steps are what we look for and 1 win at D1 was followed by 2 at D2, if they could manage to make it 3 wins at D3 they could have a shot at a final. Diamond 3 and while they were being overshadowed by their sister team, the Royals going for the series, they went in knowing they could win games. Over the season you have to say the Rebels were unlucky with the draw. In the final group, London Flames again, Death Stars and Creamers all had cup competition pedigree, the Zoo were in their group along with RG Blue Sox. The Rebels were consistent over the year, coming in the bottom two of their group, having won one game on the Saturday. Sunday saw the Rebels catch a break, they got a bye in the quarter final stage to give them their first Semi-final appearance against Nottingham Tigers. Following their past trends, the Rebels won the second game and now had a Spoon final to look forward too. The final was rematch with RG Blue Sox, the team they had beaten on the Saturday. Was it possible that not only would they Rebels win a 3rd game but also a final? You have better believe it, the Diamond series ended with a Rebels victory and their highest finish of the year, a not to be laughed at 19th out of 24 for this very much developing team. Progression is the key word and that is what we saw, 1 win, 2 wins, 3 wins and a Spoon victory. Something to build on and with the Rebels being the primary club team in the C-Grade section of the Diamond Series for 2016, more expectation. That is all for 2016, for now we can feel proud that this squad, a squad that contained 6 players under 18, many playing the tournament scene for the first time. Well done Rebels a fantastic achievement. Missed Parts 1 to 7? This entry was posted in Diamond 1, Diamond 2, Diamond 3, Diamond Series, Rebels, Season Review, Tournaments and tagged Diamond Series, Maidenhead Rebels, Rebels, Season Review, Taster, Tournaments, Try Softball on December 16, 2015 by maidenheadsoftballclub.